We want to combine the fascination of a shipwreck with the beauty of a shallow reef in one tour. This 2-tank dive offers plenty of time for each site, and will demonstrate why diving in Cancun is an incomparable experience! The Great Mayan Reef off the coast of Cancun has been considered a divers paradise for decades, and with our 2-tank morning tour, we invite certified divers to explore its many wonders. 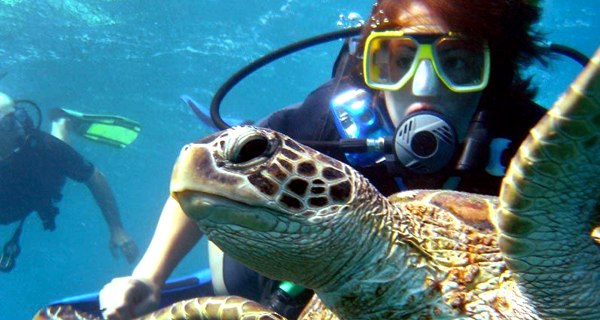 Begin a Cancun day by visiting one of the regions most magnificent underwater landscapes! 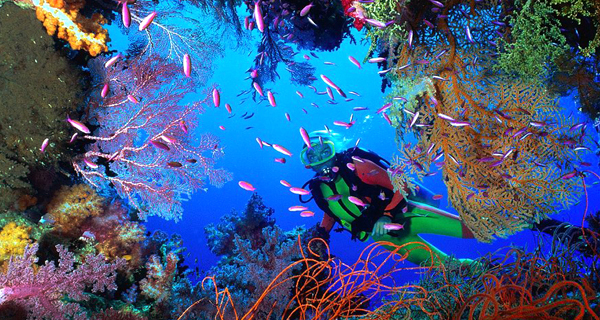 This spectacular two-tank reef scuba diving tour takes you into a depth of 30-35 feet to explore the largest barrier reef in the Western hemisphere! Find out for yourself why the shallow reef off the coast of Cancun has become one of the most beloved scuba diving sites in the world! One of Cancuns most beloved attractions is the great Mayan reef with its mind-blowing abundance of aquatic life and gorgeous tropical colors of fish and coral. Trust us with your Cancun diving adventure and see why these diving sites continue to attract divers of all experience levels! The wall and reef scuba diving sites around Cozumel are as legendary as they are beautiful. Cozumels close proximity to Cancun makes it possible for us to take you on this fabulous daytrip to experience the islands, and the worlds, best scuba diving spots! The Yucatan Peninsula offers scuba divers the truly unique experience of exploring a cenote, a remarkable flooded cavern that is unique to this region. You can dive to a depth of around fifty feet to witness amazing limestone formations. Only open water certification required for this tour, not cave certification.